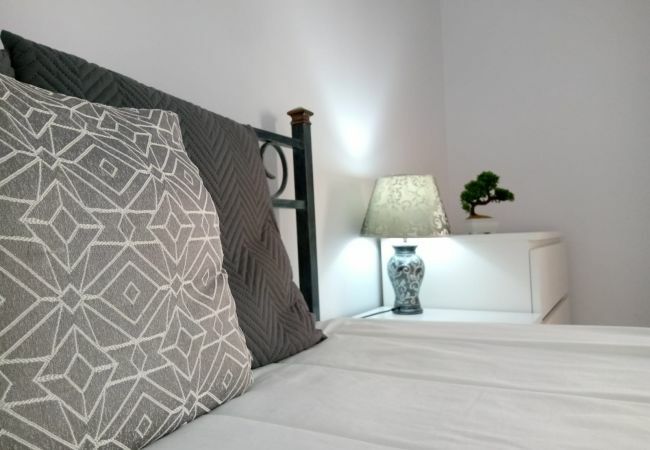 The apartment is cozy, is very light, and is 80 m². 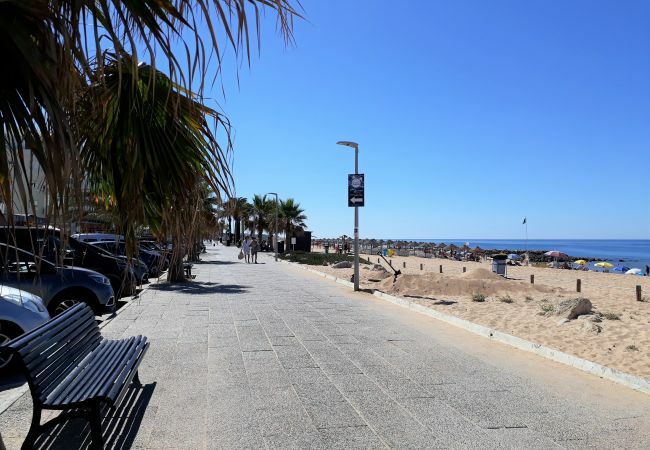 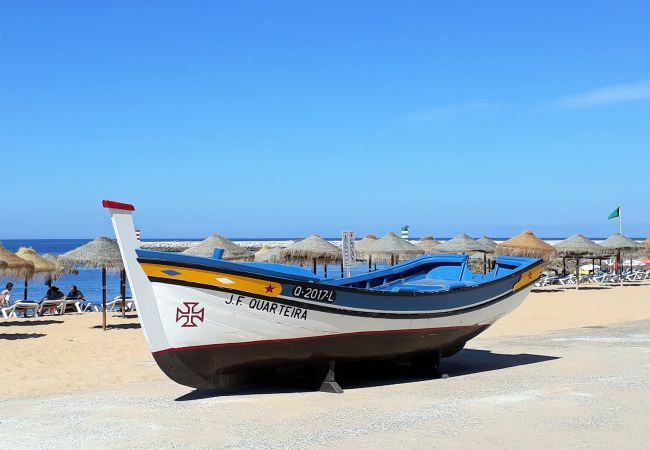 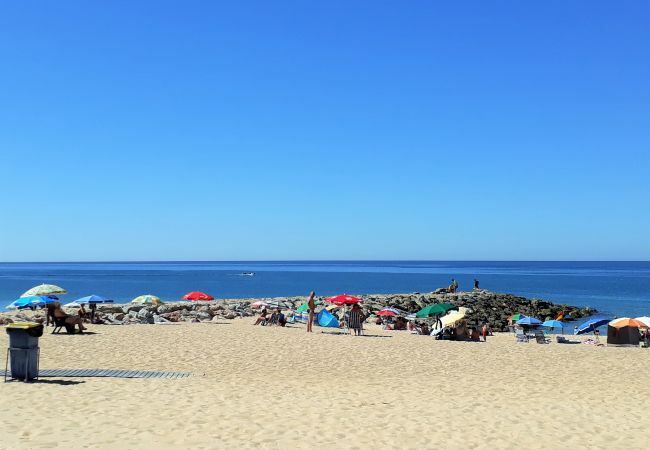 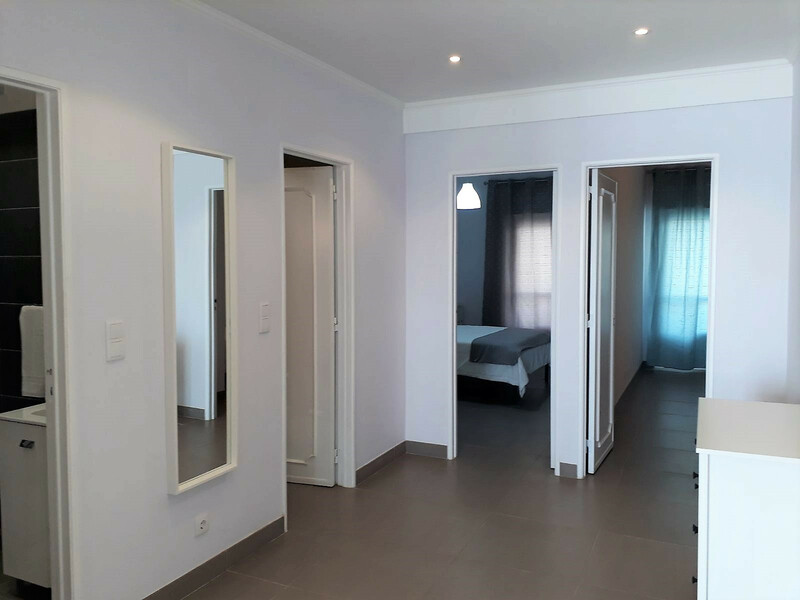 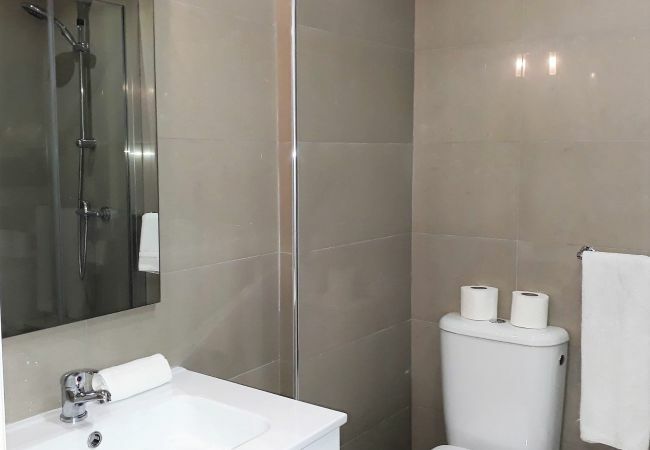 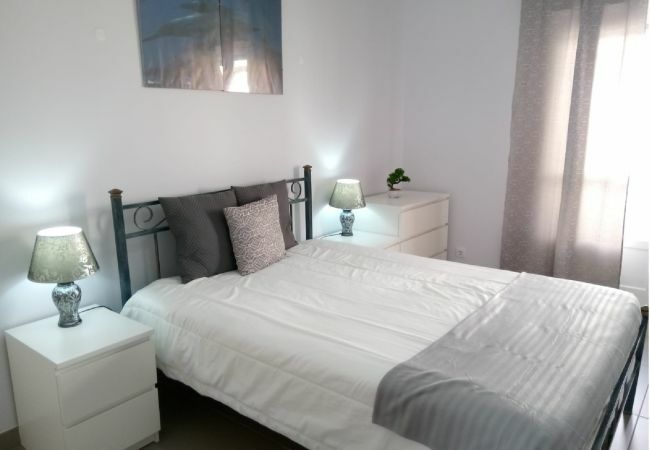 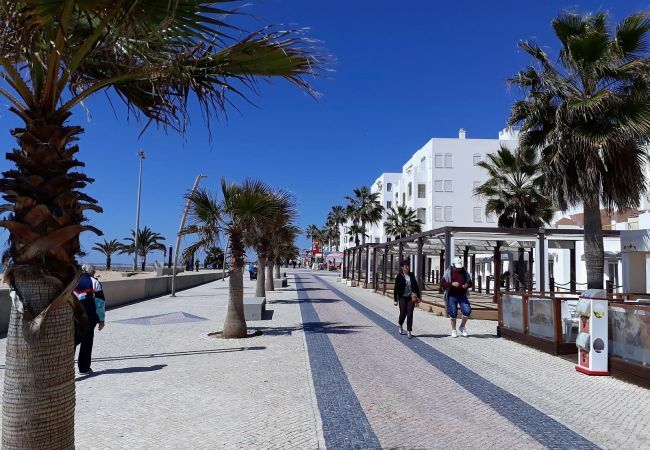 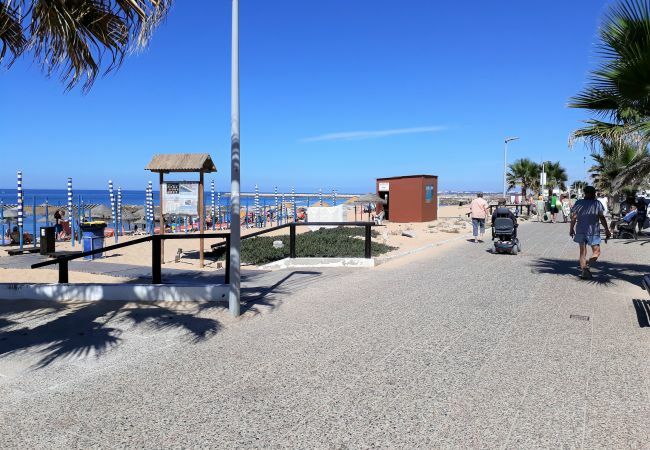 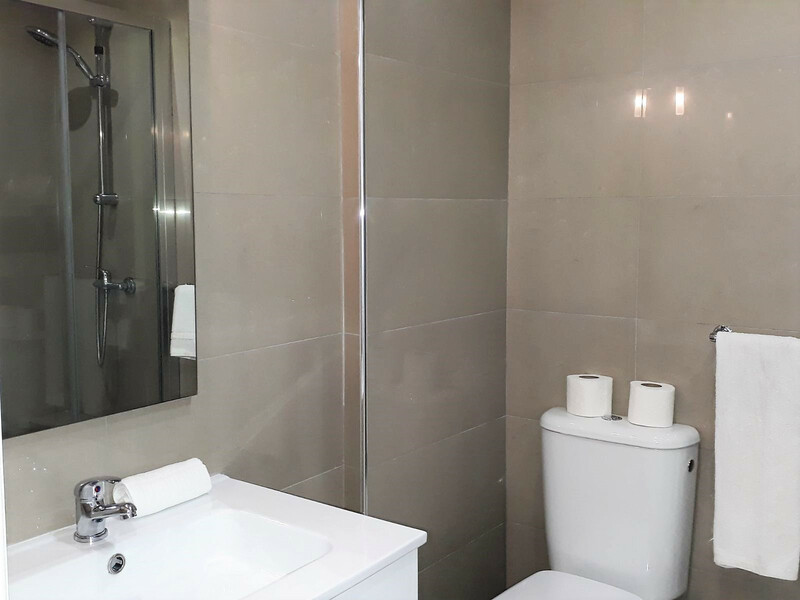 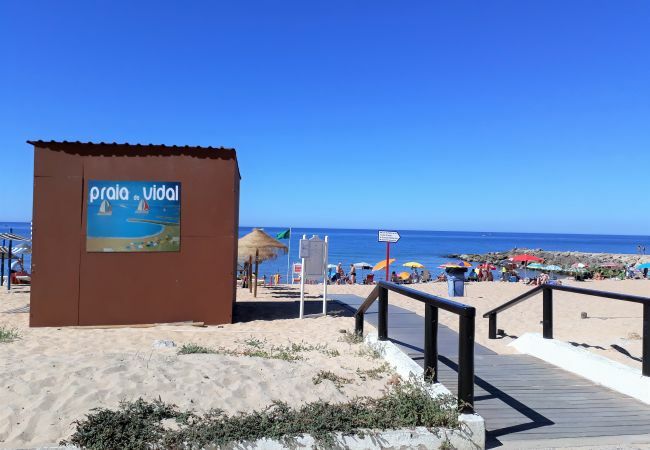 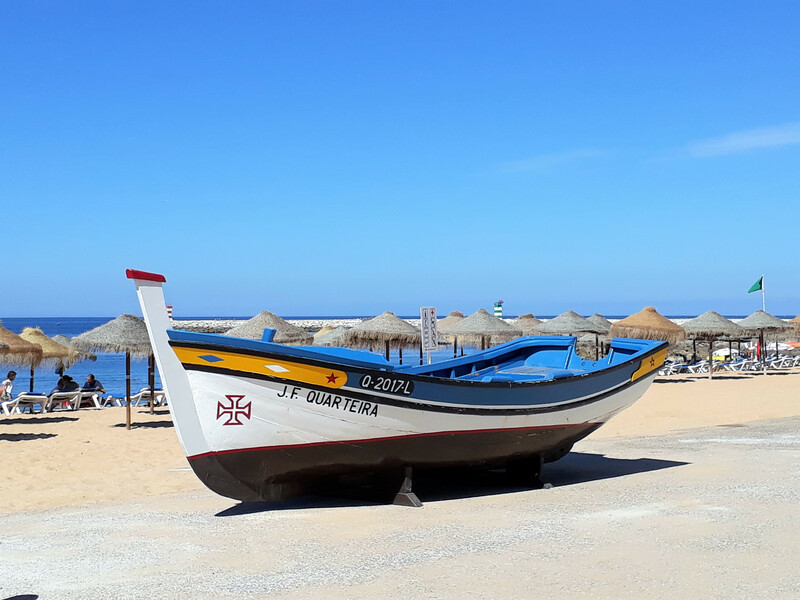 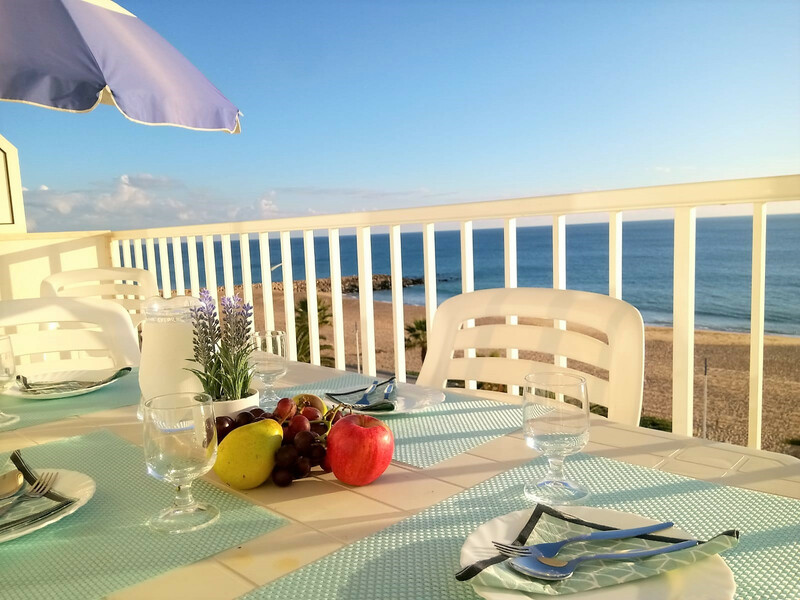 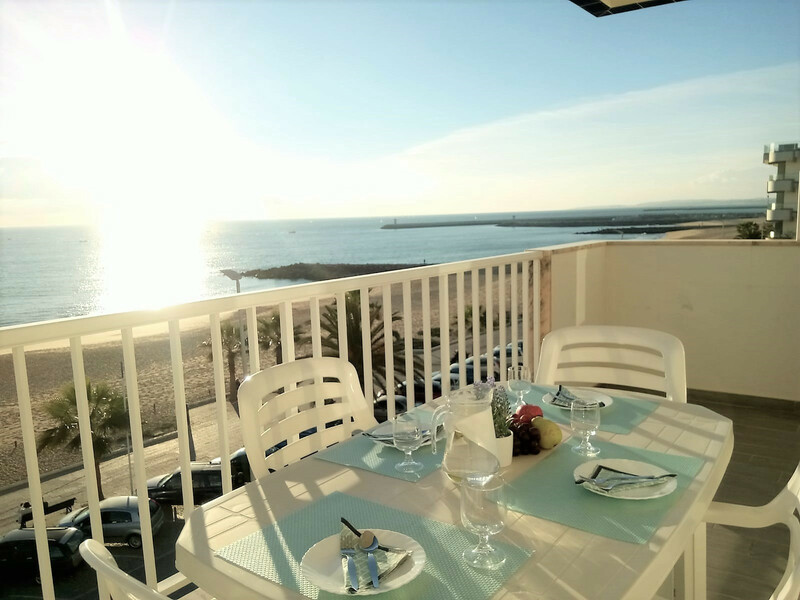 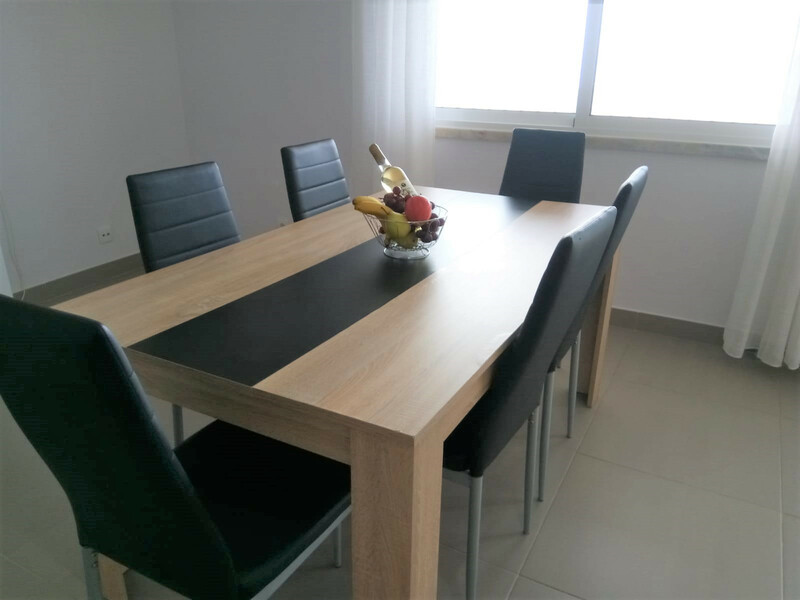 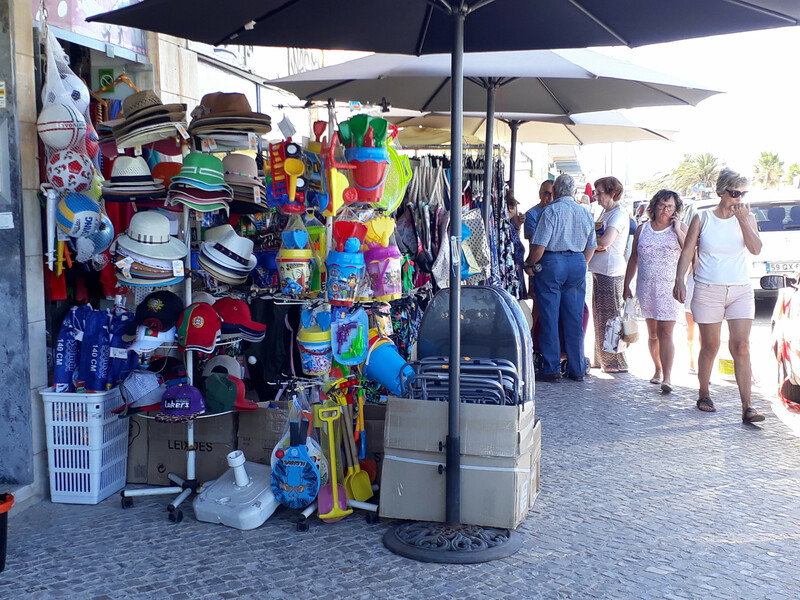 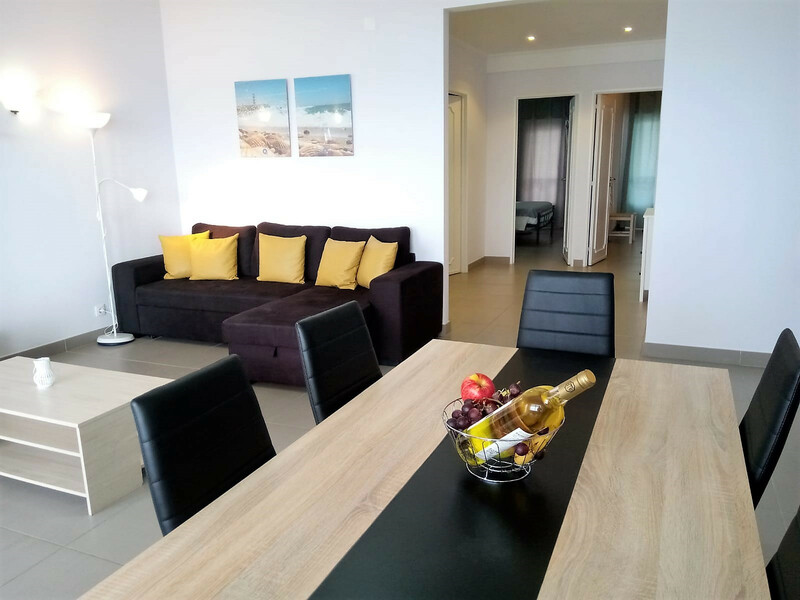 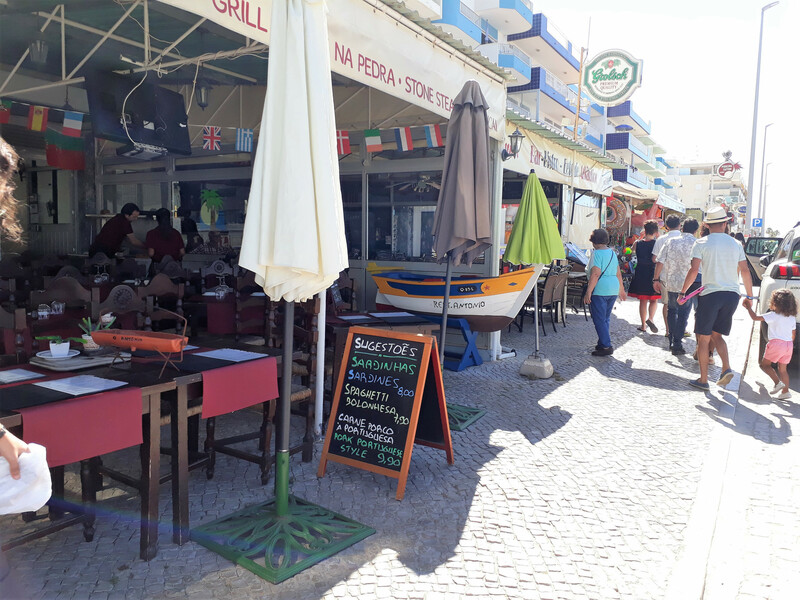 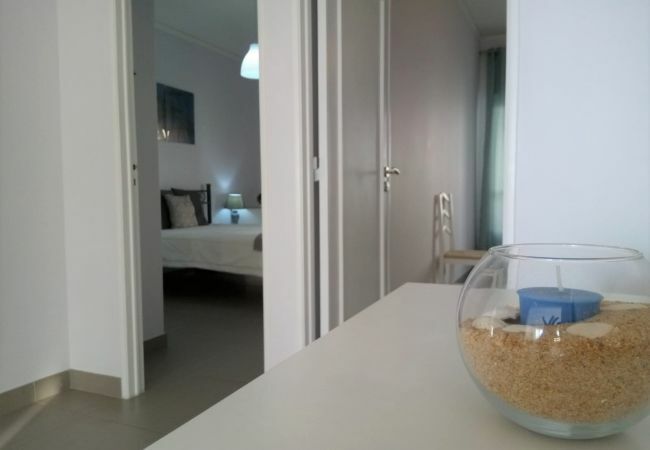 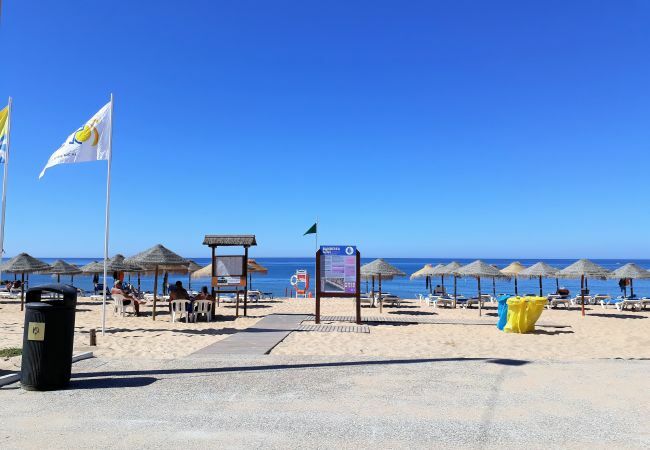 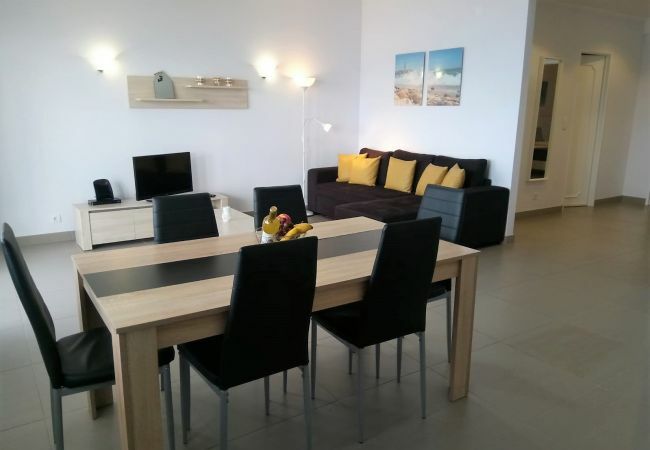 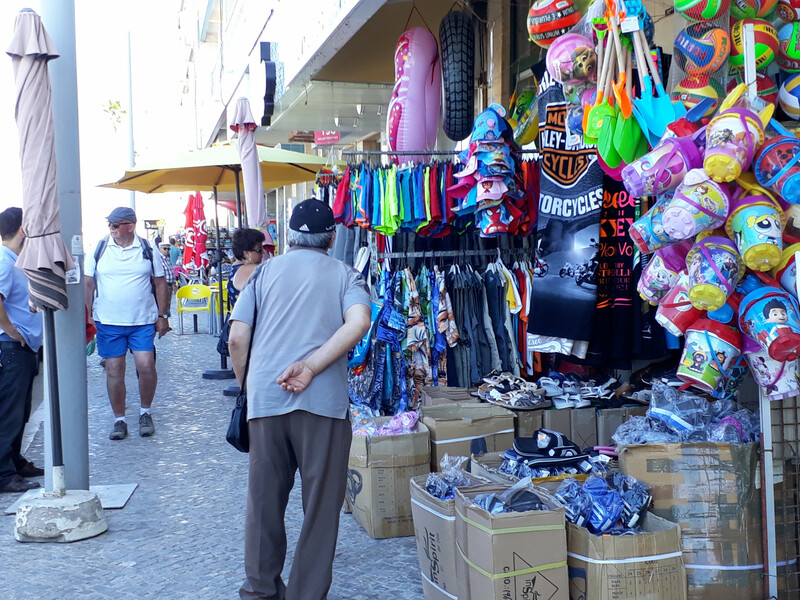 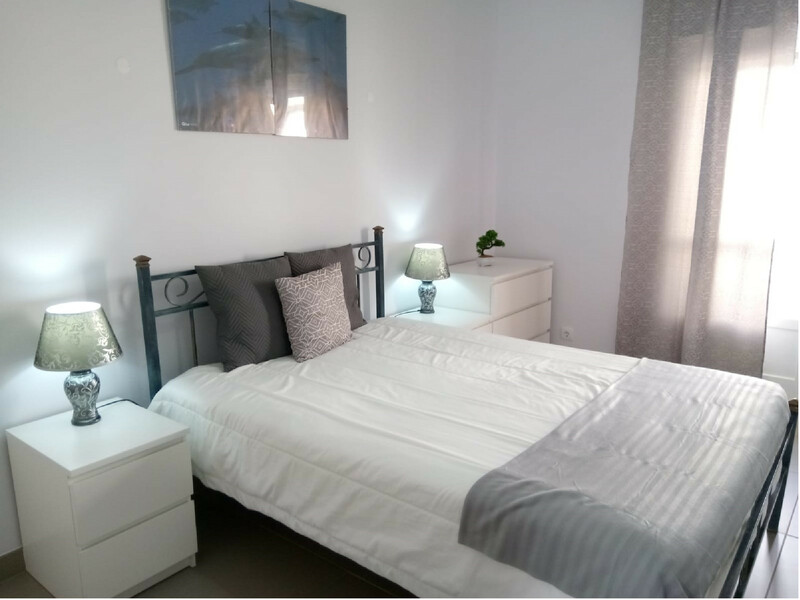 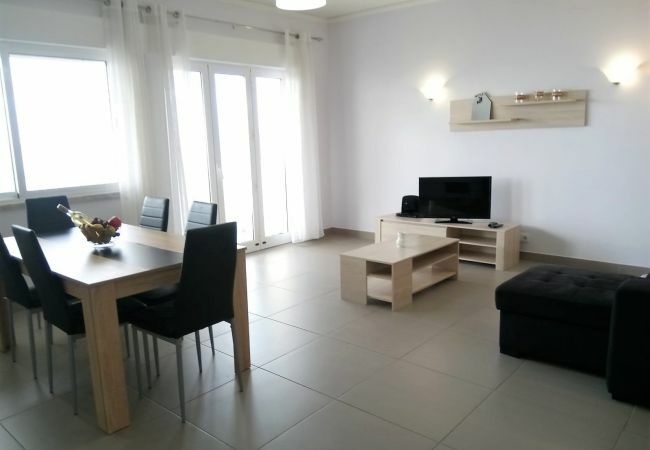 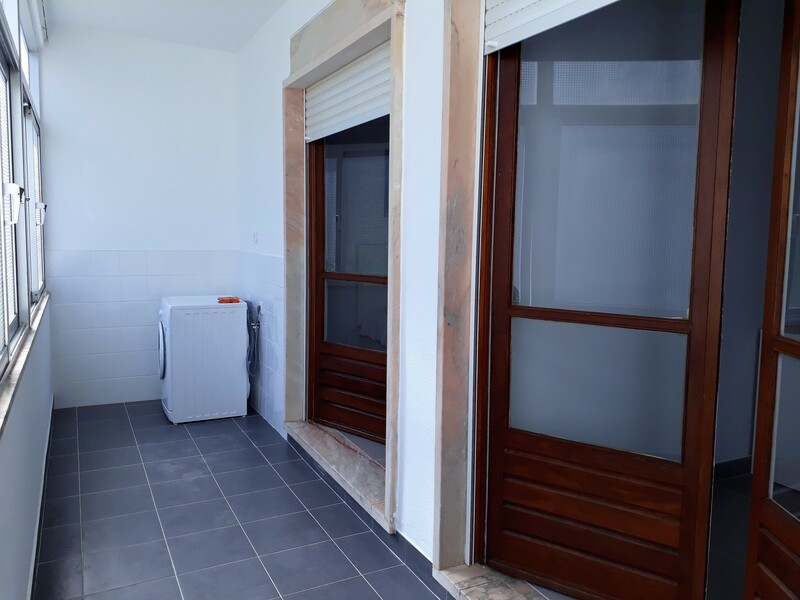 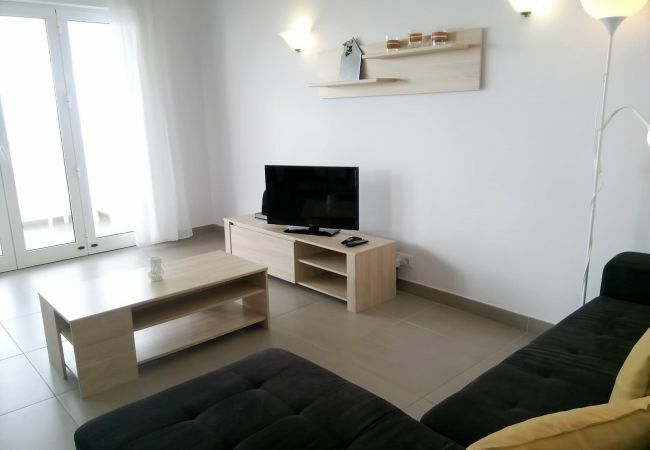 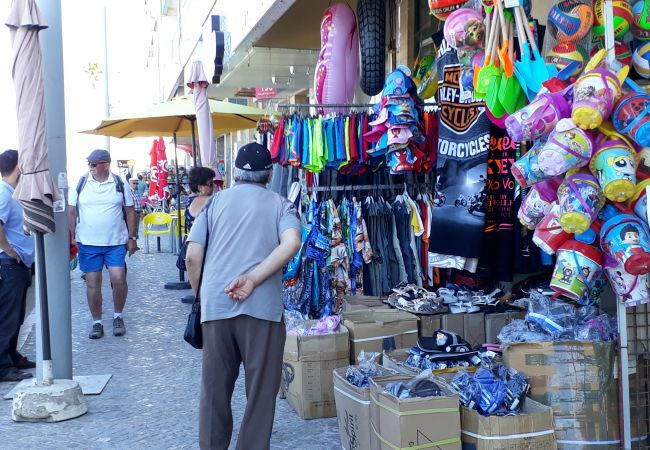 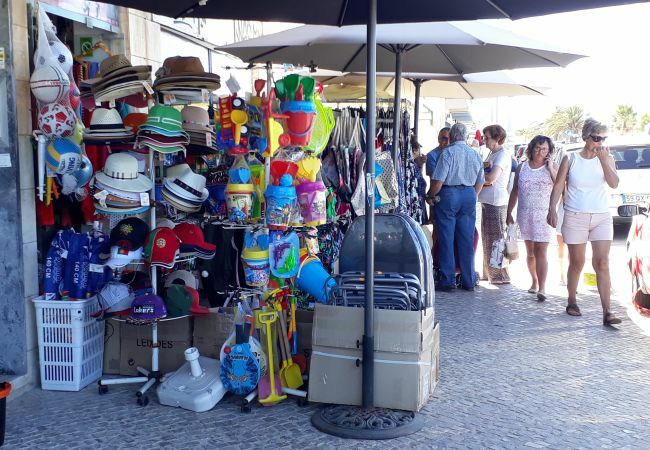 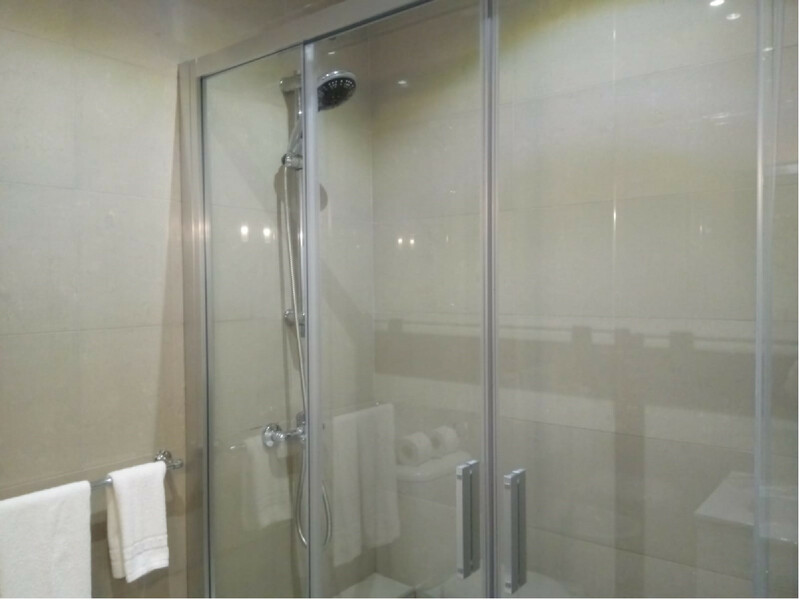 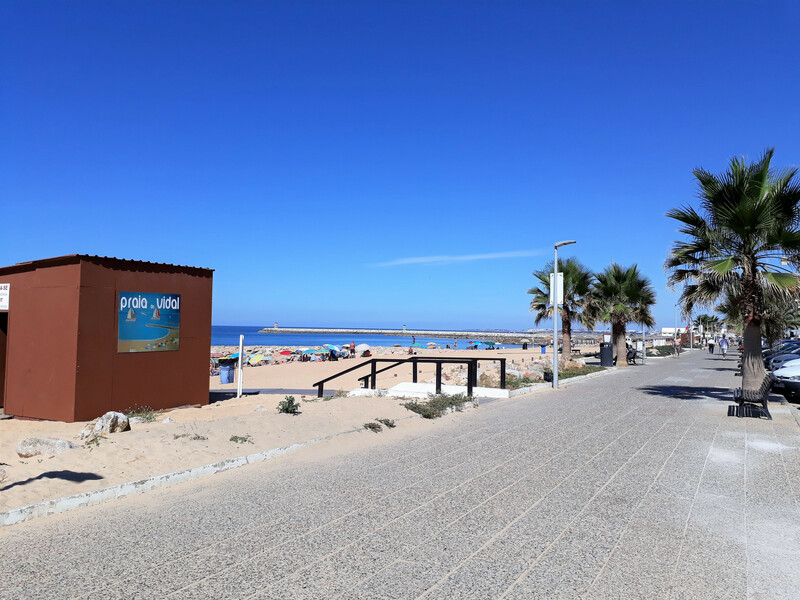 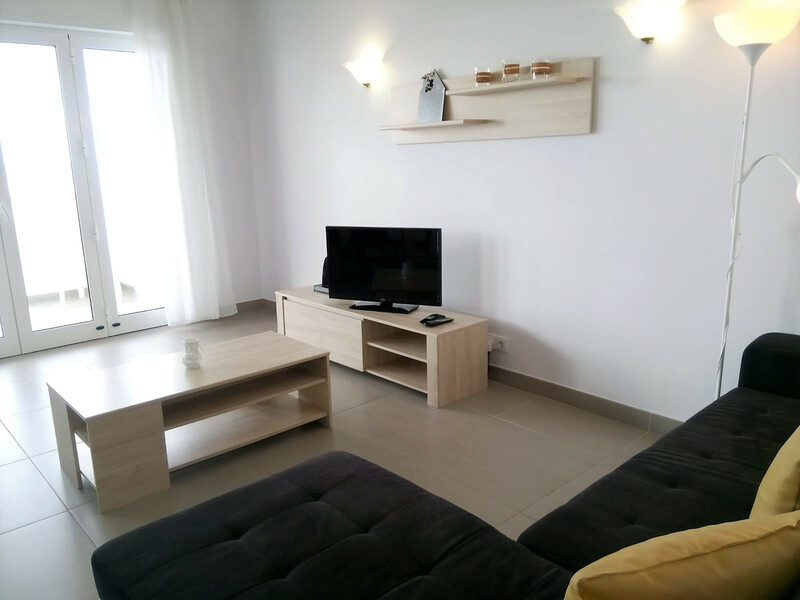 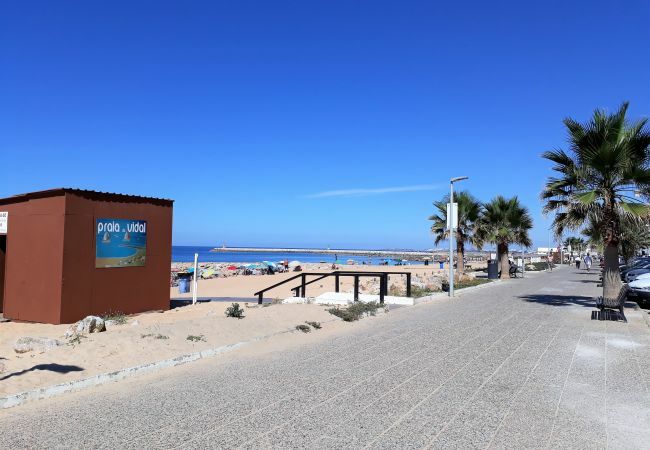 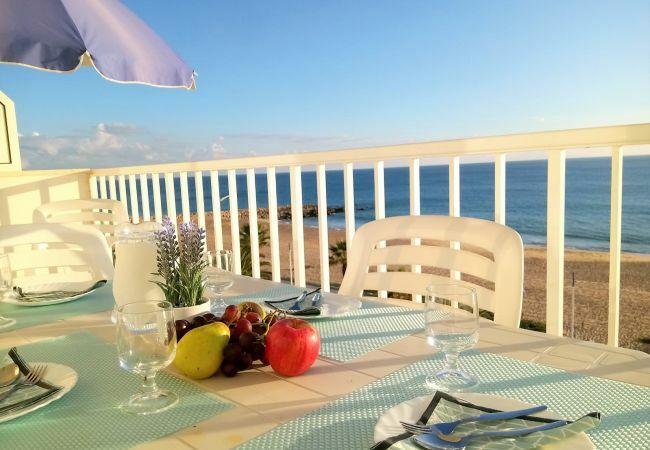 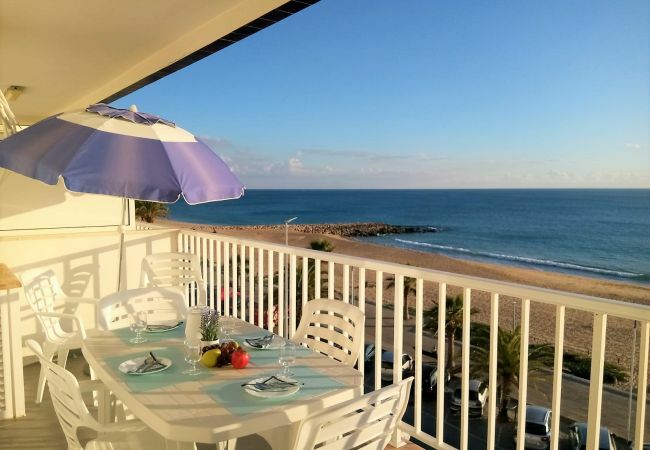 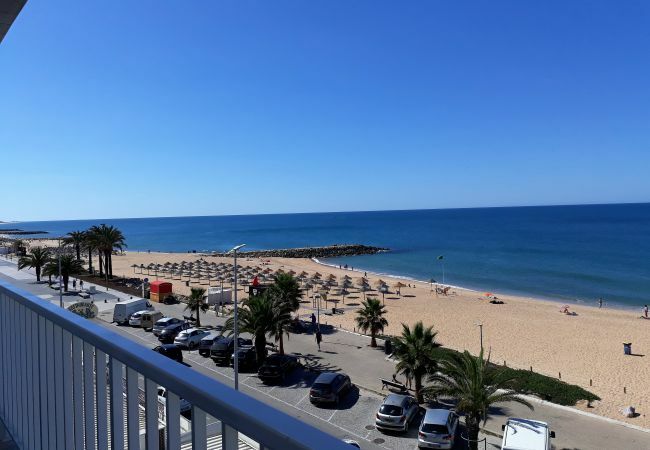 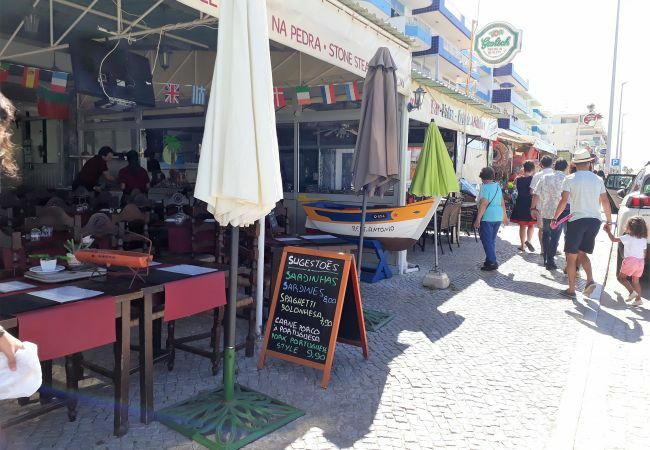 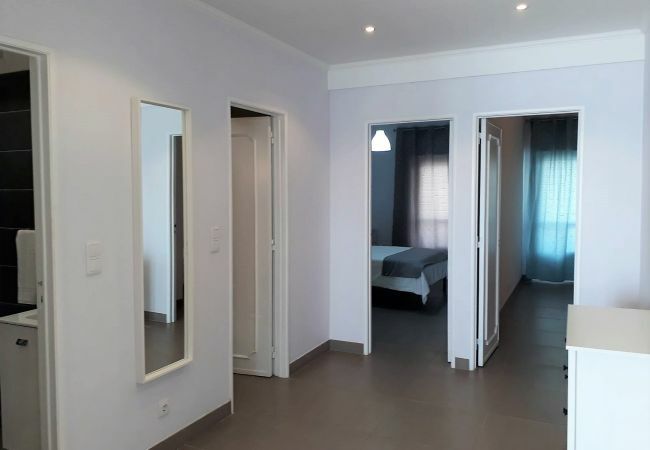 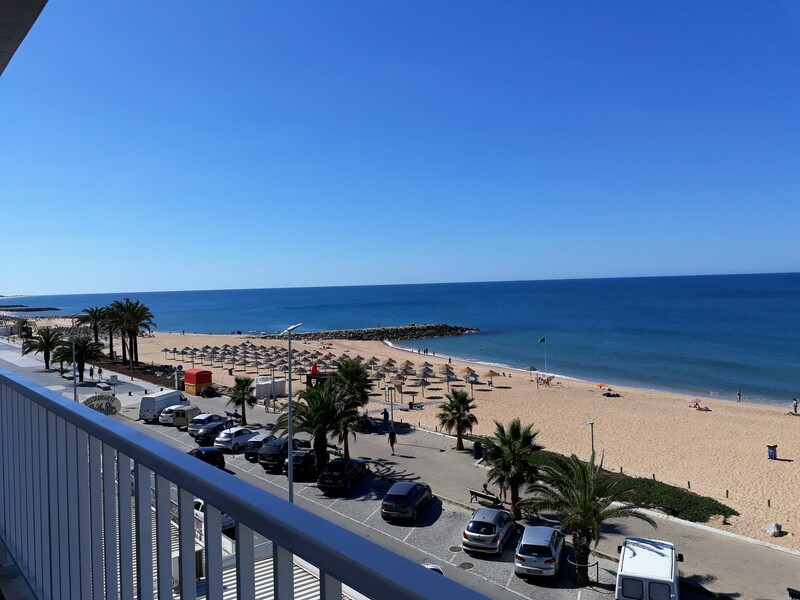 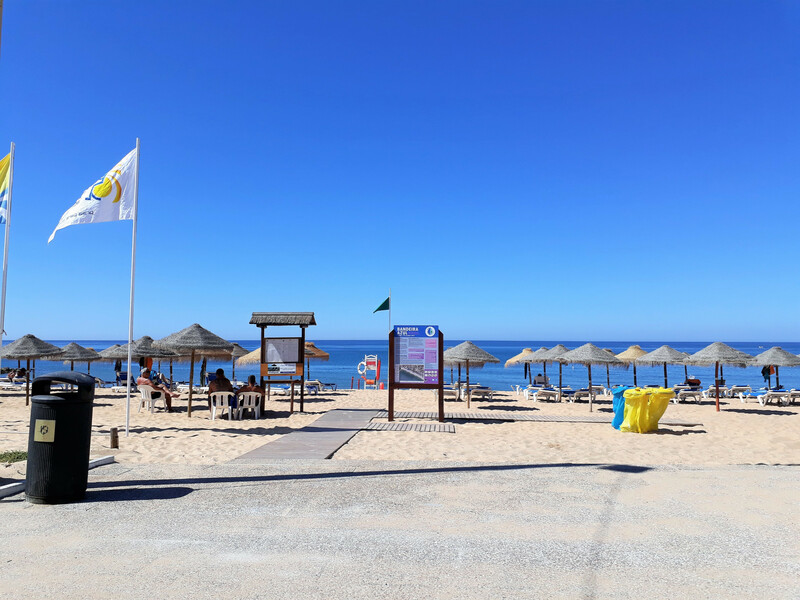 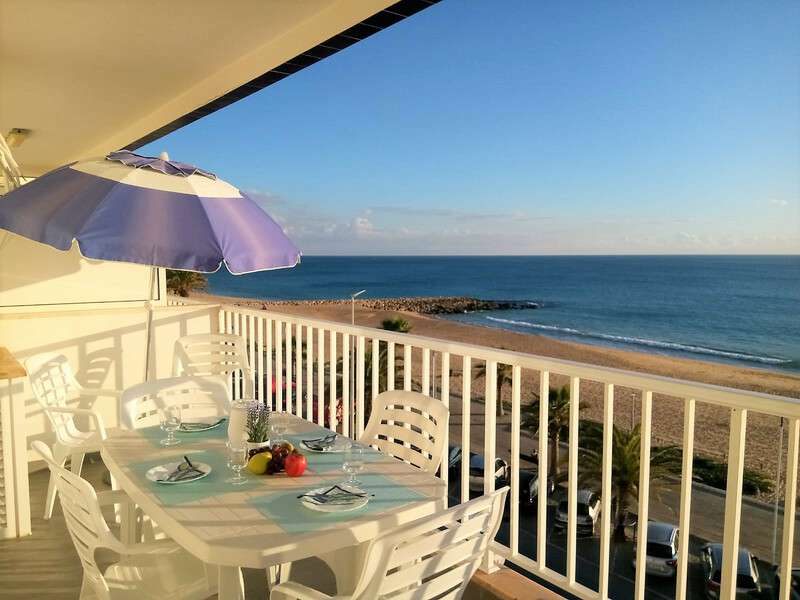 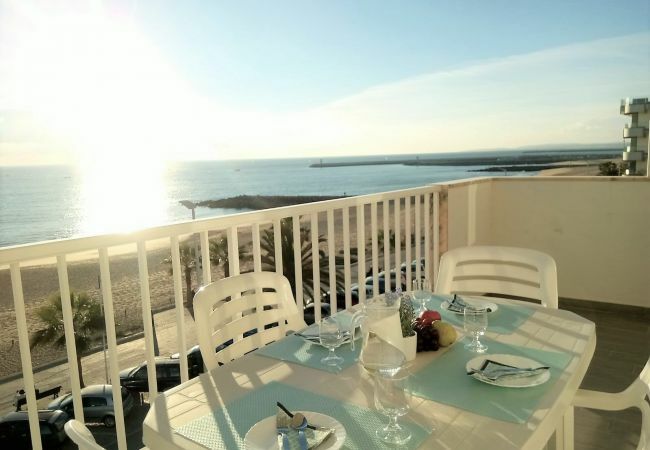 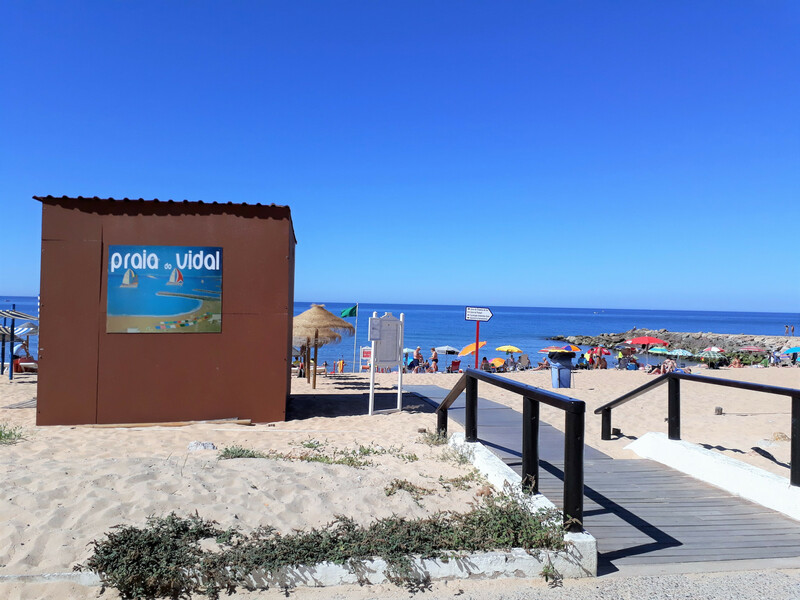 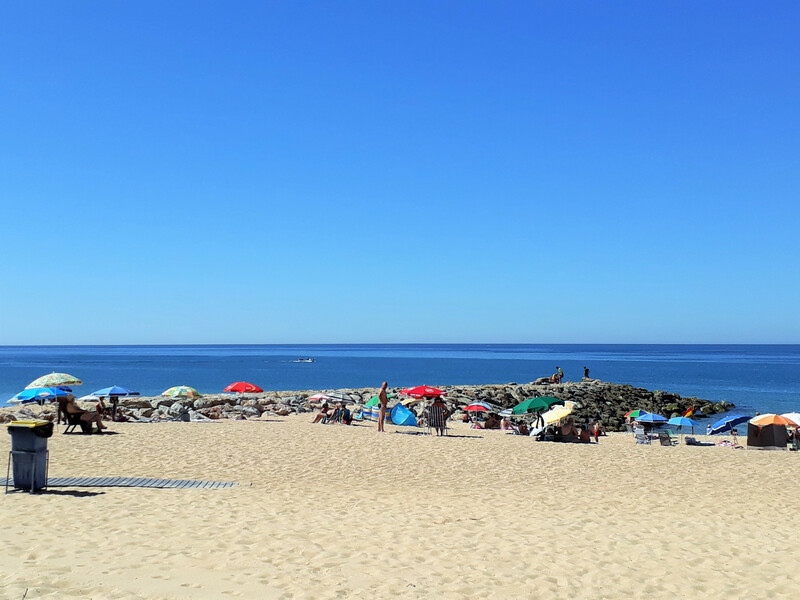 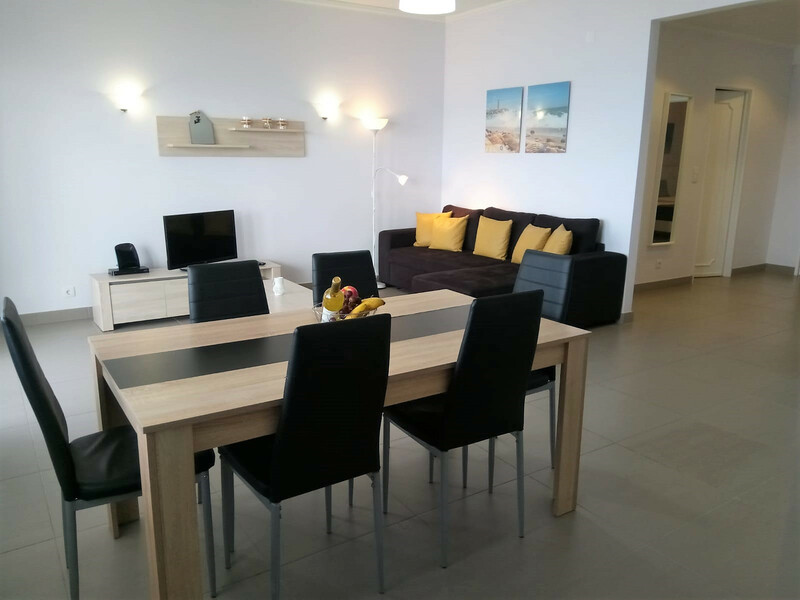 The property is located 10 m from Quarteira sand beach, 200 m from Intermaché supermarket, 200 m from Rodoviária de Quarteira bus station, 600 m from Cavalo Preto rock beach, 2 km from Vilamoura golf course, 3 km from Aquashow water park, 5 km from Estação de Loulé train station, 20 km from Aeroporto de Faro airport. The house is situated in a family-friendly neighborhood next to the sea. 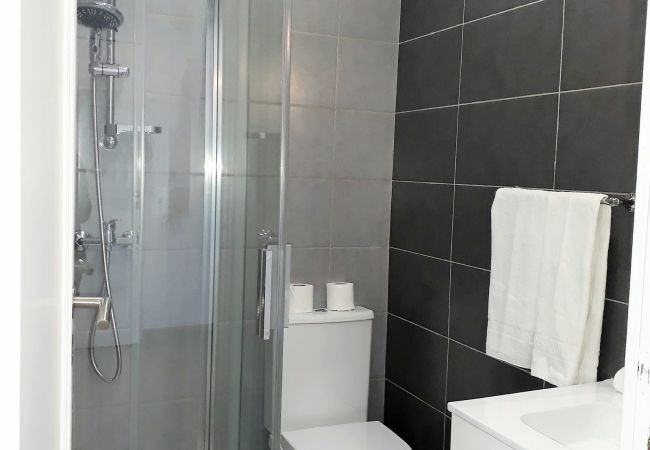 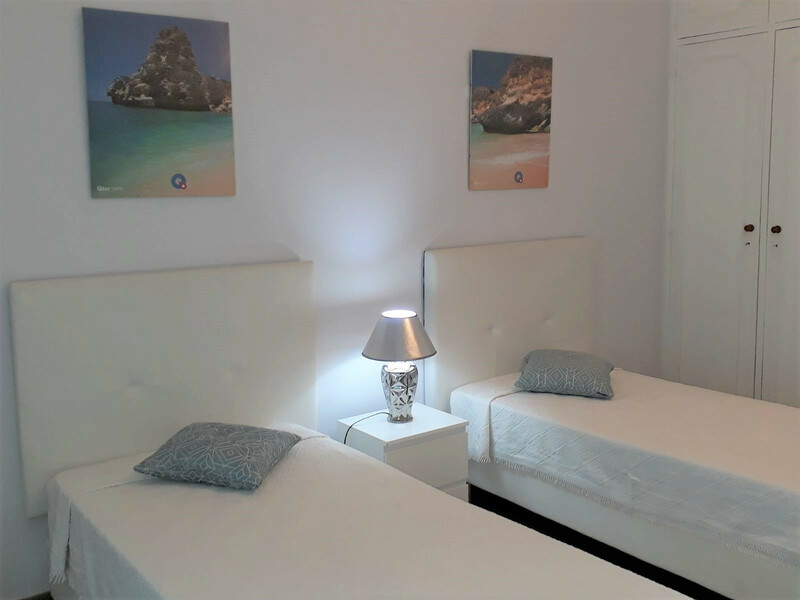 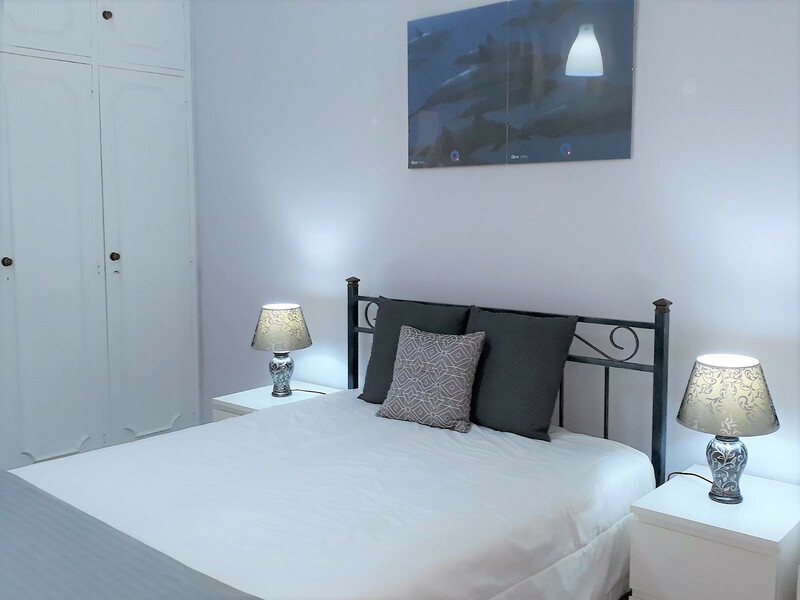 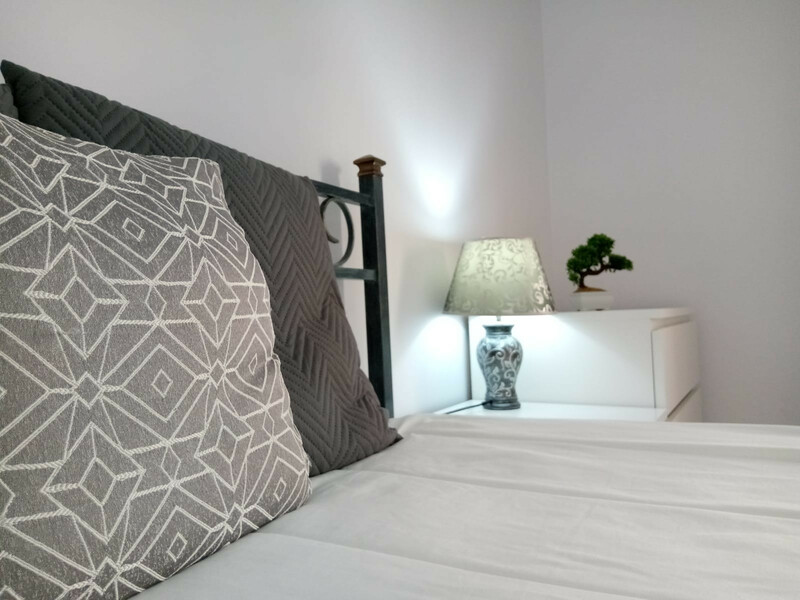 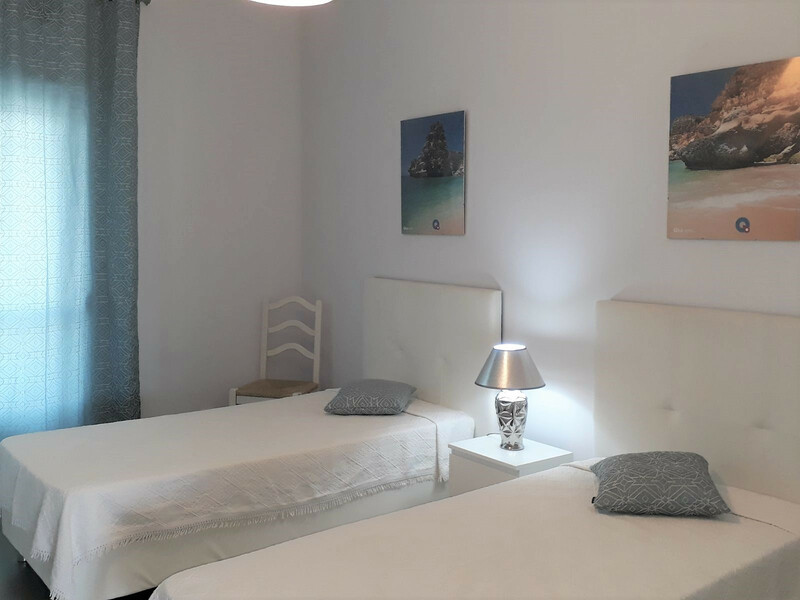 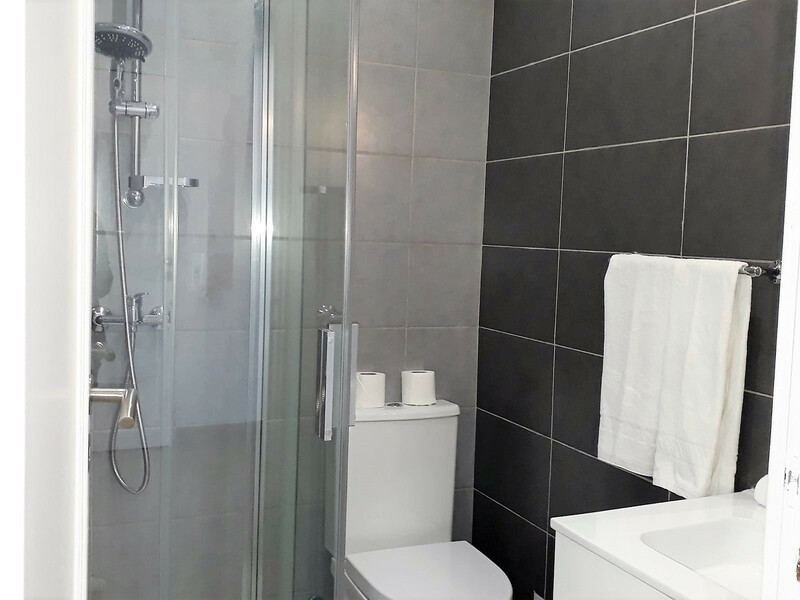 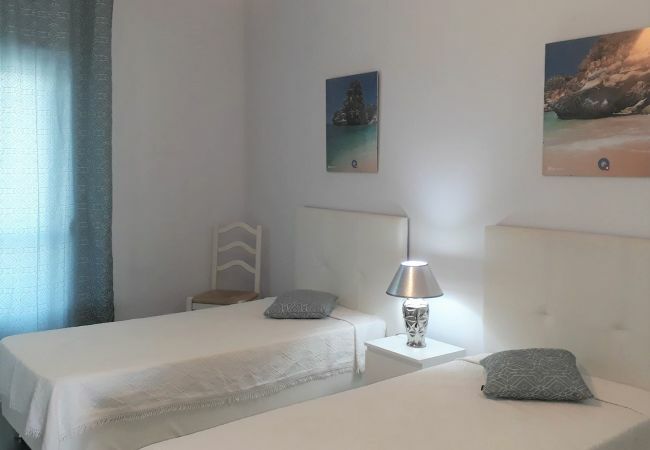 The accommodation is equipped with the following items: 10 m² terrace, iron, internet (Wi-Fi), electric heating, 1 fan, 1 TV, tv satellite (Languages: English). 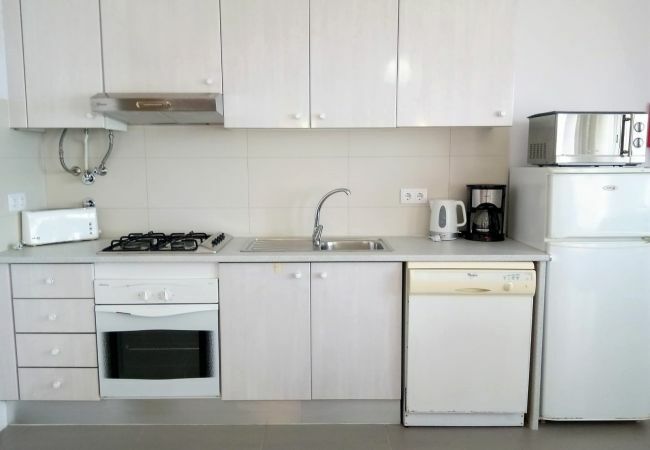 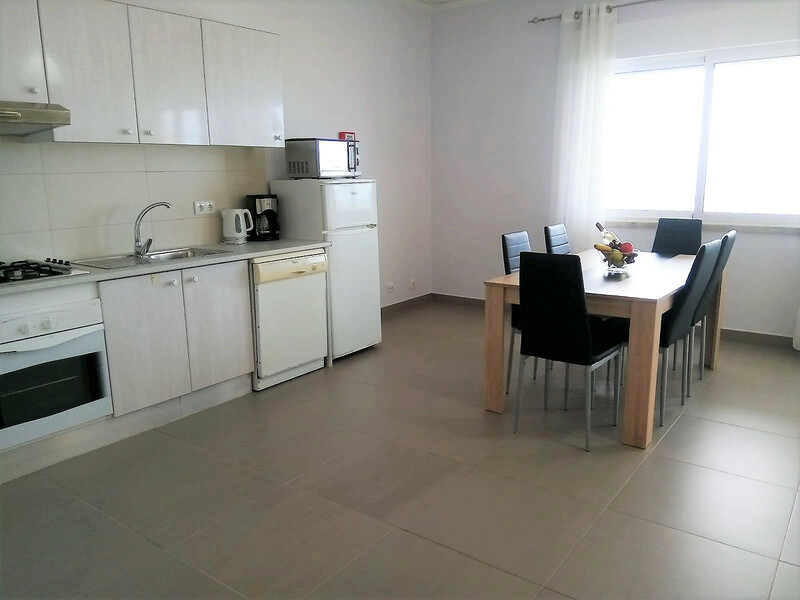 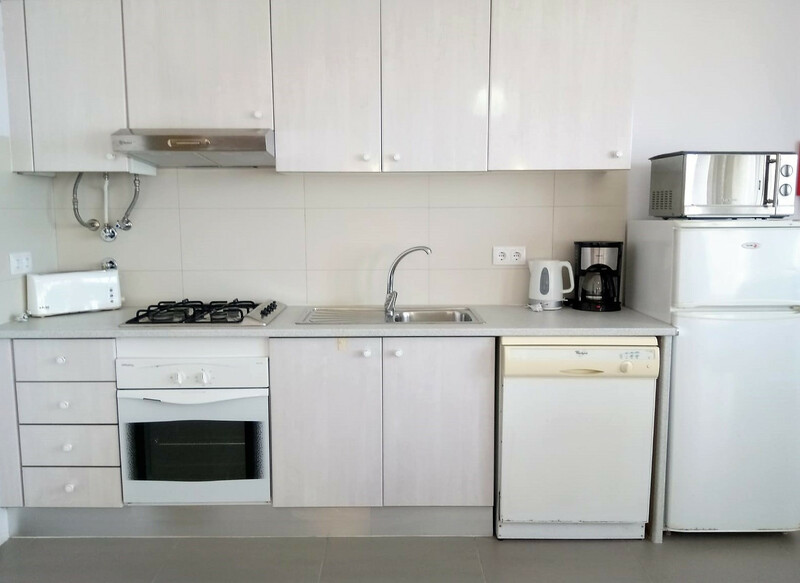 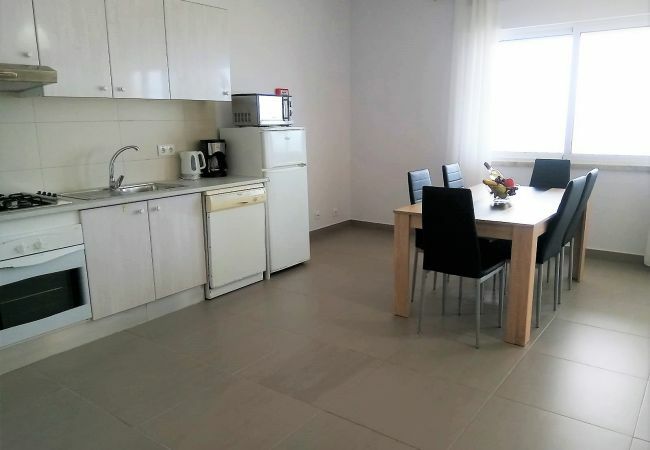 In the kitchen, refrigerator, microwave, oven, washing machine, dishwasher, dishes/cutlery, kitchen utensils, coffee machine and toaster are provided. 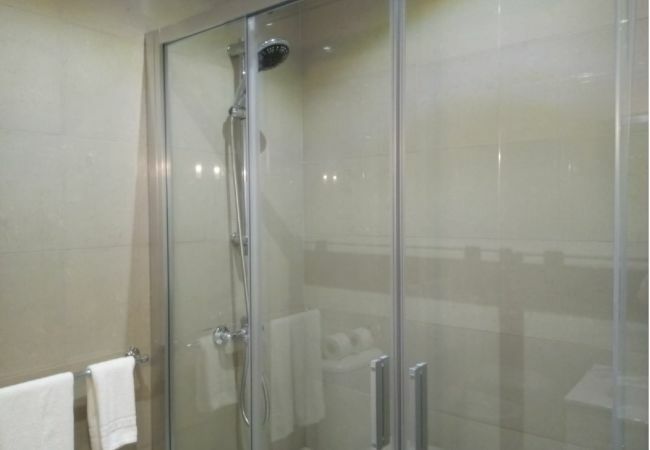 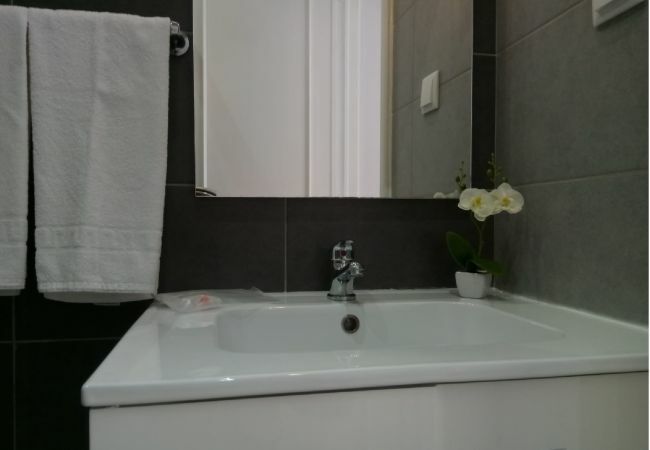 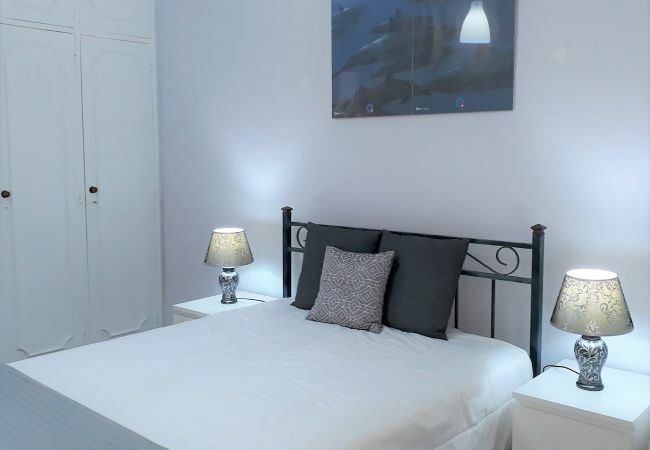 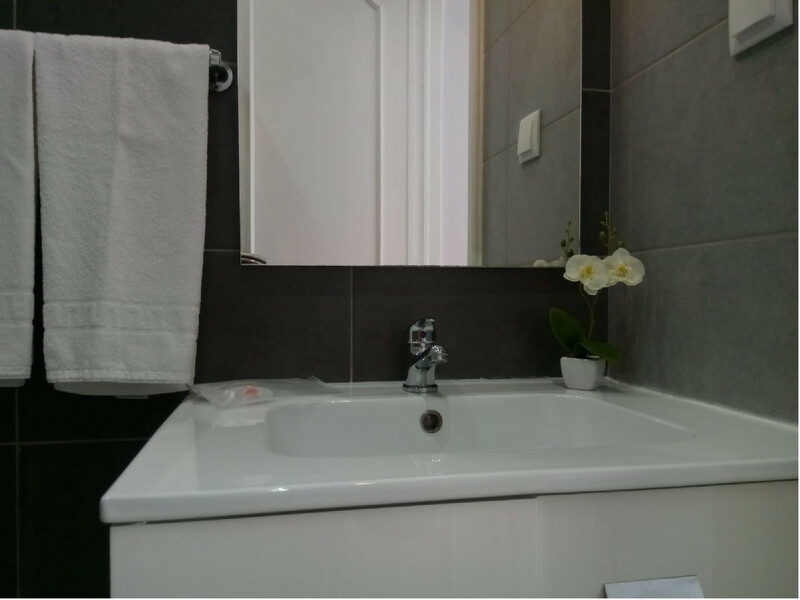 - 1 TV, TV Satellite (Languages: English), 3rd floor, 10 m² terrace, iron, internet (Wi-Fi), 80 m² property, admitted animals with weight up to 176 oz (Dangerous breed dogs not allowed), electric heating, 1 fan.